I’m in the midst of getting my materials ready for the Leadership course I will be teaching this coming January at the University of British Columbia. I have also just returned from 10 days in Saudi Arabia where I was facilitating two courses on Leadership and Communications. Both these experiences are providing me with the opportunity to do extensive reading and writing on leadership, not only the theory, but perhaps more importantly, its applications. This was illustrated during my time working with the managers and leaders in Saudi Arabia where the application of leadership is complicated by the different and sometimes conflicting cultures with which each manager has to simultaneously contend. They regularly need to balance their workers’ language, religious and other cultural differences. As well, many of those workers are only there temporarily, and not intending to put down roots. Differences are magnified by the strict rules and policies of the host country. The one question that was repeatedly raised by the course participants was, how do you communicate effectively and know that what you are communicating is being understood in that environment? As it turns out it’s not that much different than in any other environment. Leadership is not telling others what to do, it’s helping others understand what is required. It is being aware of and using the Platinum Rule: “Treat others how they want to be treated”. The reality is we all want to be “heard”. As leaders, if we keep that concept front and centre, we are doing what we can control, and providing the environment for others to follow. 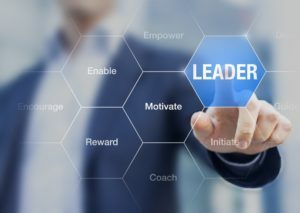 That being said, that there are situations where a leader must be direct and to the point — a question of safety, for example —but whenever possible it is advisable to use more of a “coach” approach to managing and leading. This may sound simplistic, but it is really only the beginning. It is more complex than that, but we need to have that simple understanding to begin the process of communicating and leading. The process begins from here. If we just throw up our hands in frustration, nothing will be accomplished. Rather than getting bogged down with the complex, look for the simple and move from there. It seems that growth starts to happen from that point leading to understanding and communicating. My lesson as I reflect on my experience over the past couple of weeks and as I work towards my teaching in January is that we are not all that different. Providing leadership is not about who we are but who those we are leading are. ← The Most Challenging Aspect of Leadership?